Events in a musician’s life can have an influence over their songs. Storytelling is representational in nature. General capabilities: Literacy, Critical and Creative Thinking, Personal and Social Capability, ICT Capability. Resources required: Student Worksheet – one copy per student OR computers/tablets to access the online worksheet. Device capable of presenting a website to the class. Copy of Paul Kelly – Stories of Me (teachers are required to create an account to view and invite students to view the film). Blu-Tack, Interviewee quote print-outs: John Kingsmill, Deborah Conway, Archie Roach. 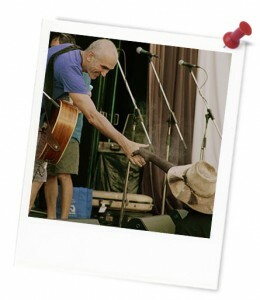 Keywords: Story, storyteller, song, life, influences, Paul Kelly. Overarching learning goal: Students gain a better understanding of how a storyteller's life can be related to the stories they tell. 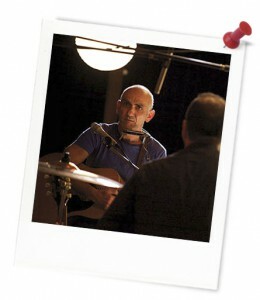 They will establish the relationship between events in the life of musician Paul Kelly and the meaning behind his songs. They will be able to evaluate other's opinions around the relationship between the story and the storyteller, and will develop a better understanding of informative texts when they plan draft and create a report that details a variety of viewpoints around the prompt: "Exactly whose story does Paul Kelly tell?" 2. Create a written report that explores the different viewpoints around the prompt: "Exactly whose story does Paul Kelly tell?" In your report, you should include three different ideas - those ideas could be based on the opinions of people interviewed in the documentary. Your report could quote what was said in the documentary, then explain your thoughts about the person's opinion about whose stories Paul Kelly tells in his songs.